Retaining wall bricks are a versatile way to landscape your garden. They can be built with different levels for sloping blocks, they help prevent soil erosion, and they add visual interest. 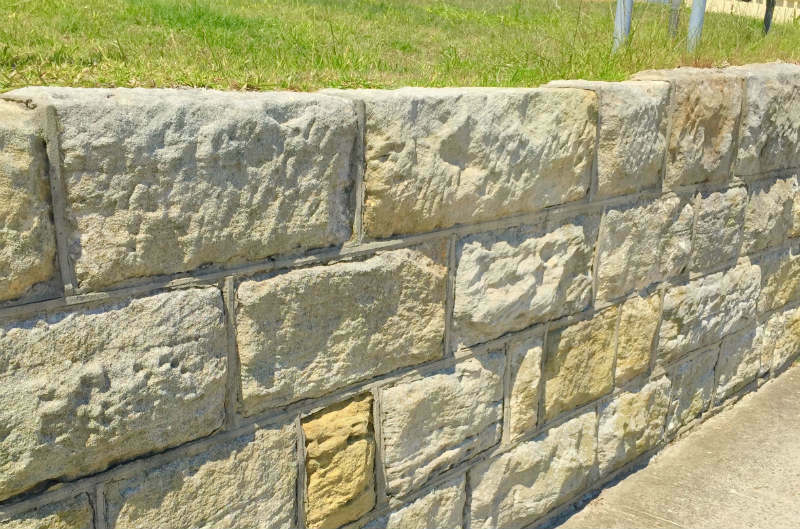 There are many other benefits of a retaining wall, so let’s find out more about these flexible structures and how your local retaining wall builder can help you choose the right material, the right height and depth. A retaining wall is an outdoor wall that “retains” soil on one side. They can be one or two paving bricks high, or much higher (a metre or more), especially on sloping blocks, or where they are being used to prevent erosion. You can choose to have a straight retaining wall or add visual interest with a curved retaining wall. Whether you are considering a retaining wall for decorative purposes, or to prevent erosion, consider the following benefits. Retaining walls are strong and can hold back vast amounts of soil. If installed by a professional retaining wall builder, a retaining wall will last. You have choice (height, length, straight, curved etc). Very little maintenance is required. No need to clean, and they won’t rot, warp or rust. A retaining wall will increase the value of your home (landscaped gardens are popular with buyers). Cost-effective way of levelling sloping blocks to allow for plants, flowers or vegetables. Just Pave is your local retaining wall specialist. We can advise on the right height and help you choose paving bricks to match your surrounding structures. Our team can also let you know about any council requirements that might apply. Contact Just Pave today – The Paving Specialists.